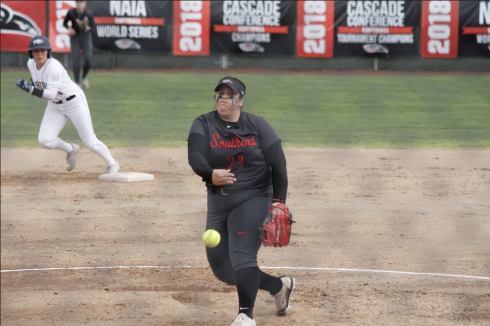 While the rest of Southern Oregon University’s varsity teams have completed their seasons, the Raiders’ Track and Field team is busy getting ready for the last few events left this year. The only two events left on the Raiders’ plate are the Cascade Conference Championships and the NAIA National Championships. Given how strong Southern Oregon has been this year, the Raiders are expected to continue their solid form heading into the final stretch. At last weeks Pacific Twilight Meet, several Raiders walked away with solid NAIA qualifying marks including Dennis Olstedt, Anya Martinez, David Laney, Alex Waroff, Brandon Ritchie and Jonz Olander. Olstedt was the Raiders top performer at the meet posting a NAIA “A” qualifying mark in the 400 hurdles event while Martinez also grabbed an “A” mark in the 5,000 race. Senior Laney recently returned from injury but showed why he is such an invaluable asset to the Raiders cross country and track long distance teams with his “B” mark in the 5,000. 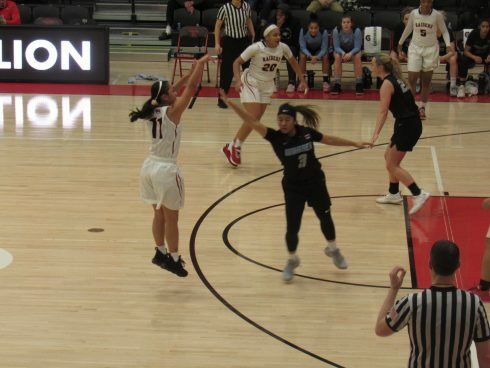 With the Cascade Conference Championships starting on Thursday, consistency is key for a Raiders squad looking to continue its dominating season on both the regional and national level.